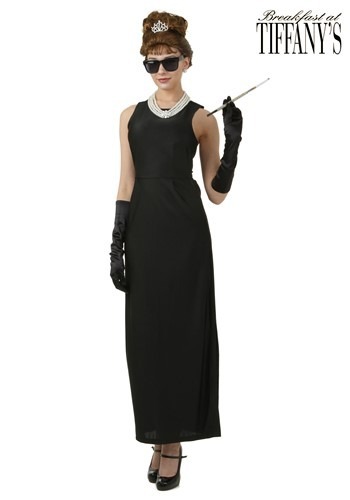 Are you completing your Holly Golightly costume? Do you have the black satin gloves? Check! The pearl necklace? Check! 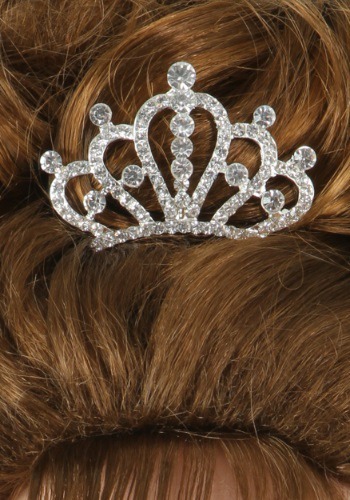 Wait, what about the crown!? You can't be Truman Capote's most famous creation without the rhinestone headpiece. 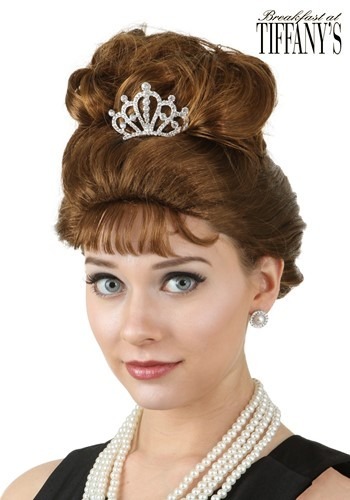 Use this Breakfast at Tiffany's Crown to complete your Holly Golightly costume! Turning your child into a stylish Hollywood icon is simple! 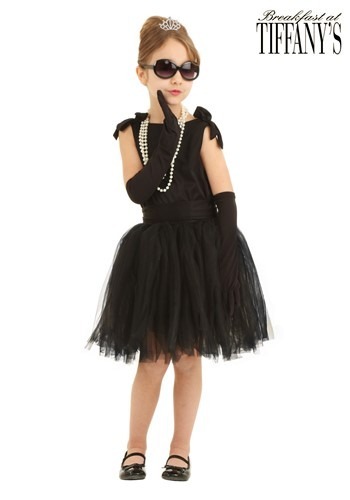 Just have your little one wear this Child Breakfast at Tiffany's Holly Golightly Costume. 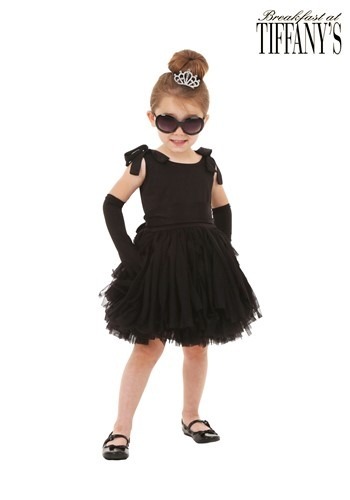 She'll love going out to window shop while wearing this black tutu dress. Or maybe she'd prefer staying in and enjoying a fancy breakfast. No matter what activity you two decide on, she'll feel like a real New York socialite in this costume! Does your little girl demand to speak with her agent when you ask her to pick up her toys? Does she shout, "I cannot work under these conditions!" when you ask her to clean her room before she gets a snack? If you answered yes to any of the above, you might be raising a diva. 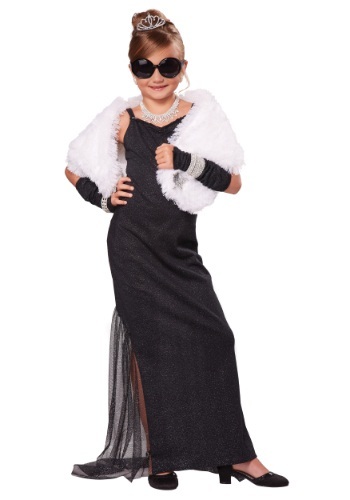 Especially for her, we have this girls Hollywood diva costume. As you're well aware by now, it's easier to play along than to try and change her ways! If you are going to make Truman Capote's best-known creations come to life, you have to do it right. Everything from your hair to your shoes have to be perfect if your transforming into the New York cafe society girl, Holly Golightly. So sit down for a buttered croissant and a crepe and eat breakfast in this Plus Size Breakfast at Tiffany's Holly Golightly Costume. Do you best Audrey Hepburn impression and say, 'I'm crazy about Tiffany's' while you dine. Glamour comes easy to this little girl. She loves being glamorous and she loves to eat breakfast. What do you get when you put those two things together? Breakfast at Tiffany's! Dress your little girl in this Toddler Breakfast at Tiffany's Holly Golightly Costume and she'll transform into a sweet socialite. Cooking her breakfast and dressing her in this costume will make for an adorable photo opportunity!